These Ridged Vases have unique shapes that can only be manufactured with 3D print technique. The CRE8 3d printers build the vases layer for layer on from PLA, a bio-plastic made from plant waste. 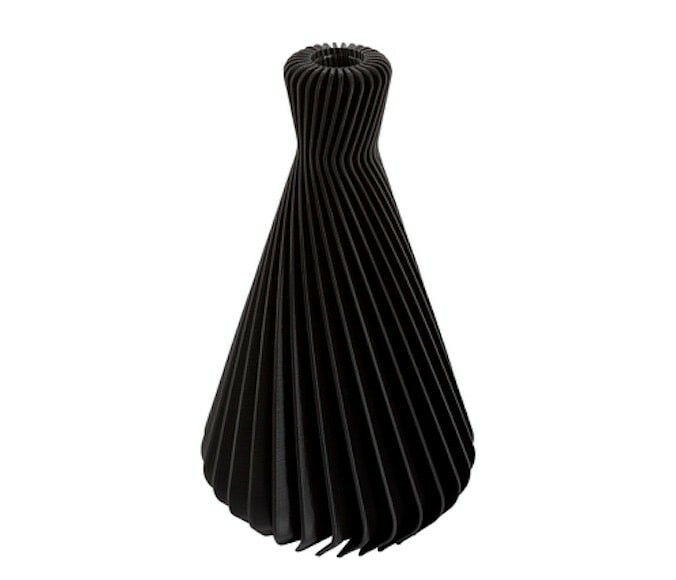 The Ridged Vase comes in three different shapes and four colors – white, black, blue and yellow. Pretty eye-catchers thanks to the playful shapes. 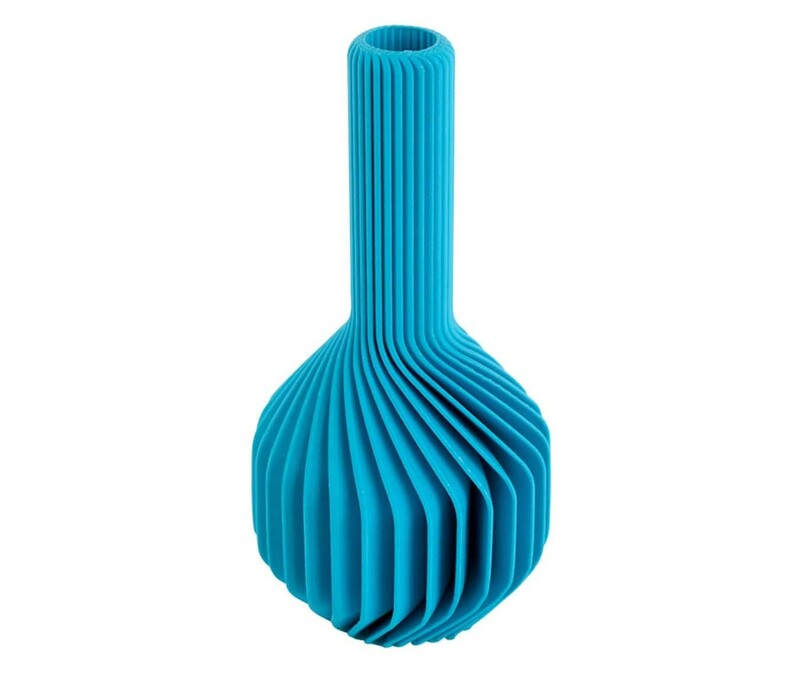 The unique shapes of the Ridged Vases can only be manufactured with 3D print technique. The CRE8 3d printers build the vases layer for layer on from PLA, a bio-plastic made from plant waste. 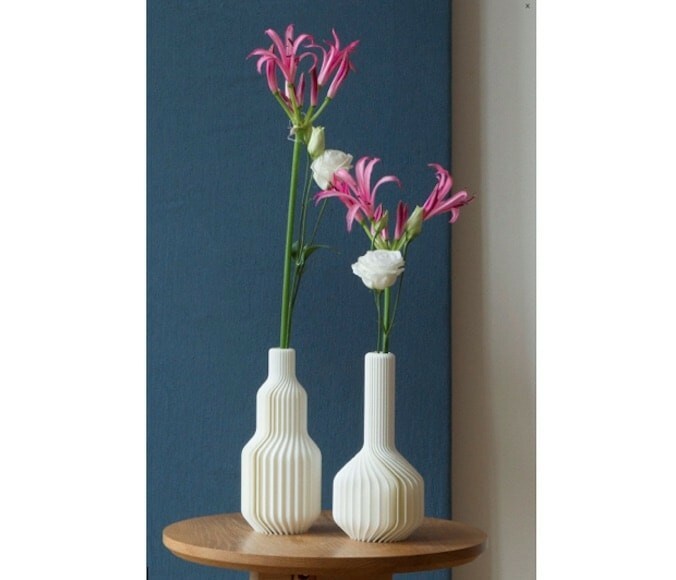 The Ridged Vase comes in three different shapes and four colours – white, black, blue and yellow. Pretty eye-catchers thanks to the playful shapes and unique presents. 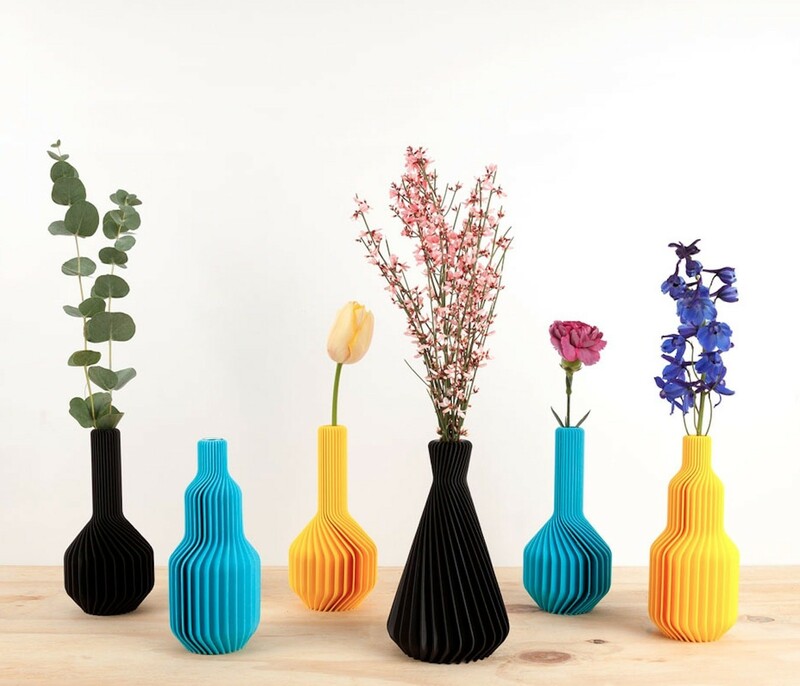 CRE8 prints the Ridged Vases out of polylactide (PLA), a biodegradable and bioactive thermoplastic polyester derived from plant waste. PLA has the second highest consumption volume of any bioplastic in the world. PLA can be processed by extrusions such as 3d printing, injection moulding, film and sheet casting, and spinning, providing access to a wide range of materials. PLA is even used for medical implants that – on purpose - break down inside the body within 6 months to 2 years. 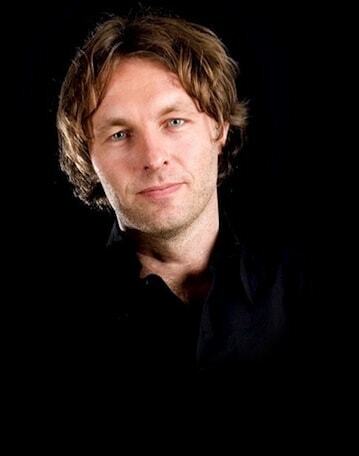 Jurre Groenenboom studied Industrial Design at the Technical University in Delft and worked at department store Hema as a product designer and at Ideal & Co as a sustainable product designer. He founded CRE8 social venture in 2014. 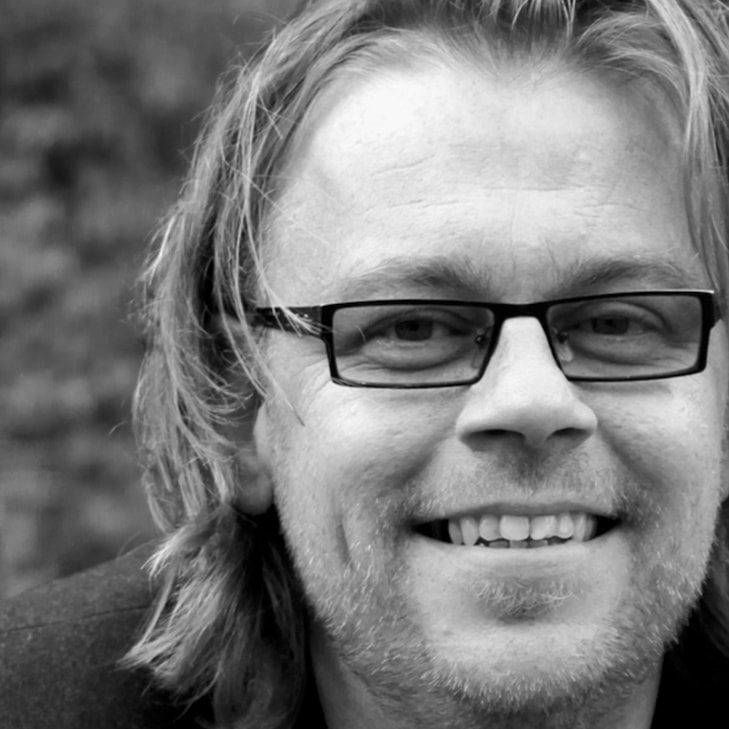 In his role as creative coach at CRE8, Jurre is working on the development of the creative potential of the young people that work there. He has also designed several items in the CRE8 assortment including the Ridged Vases. CRE8 is a social venture, that helps young people with some distance to the labour market to develop their talents. At CRE8 they combine learning and working with digital manufacturing techniques like 3D-printing and laser cutting, supported by experienced craftsmen who share their knowledge, experience, and enthusiasm. 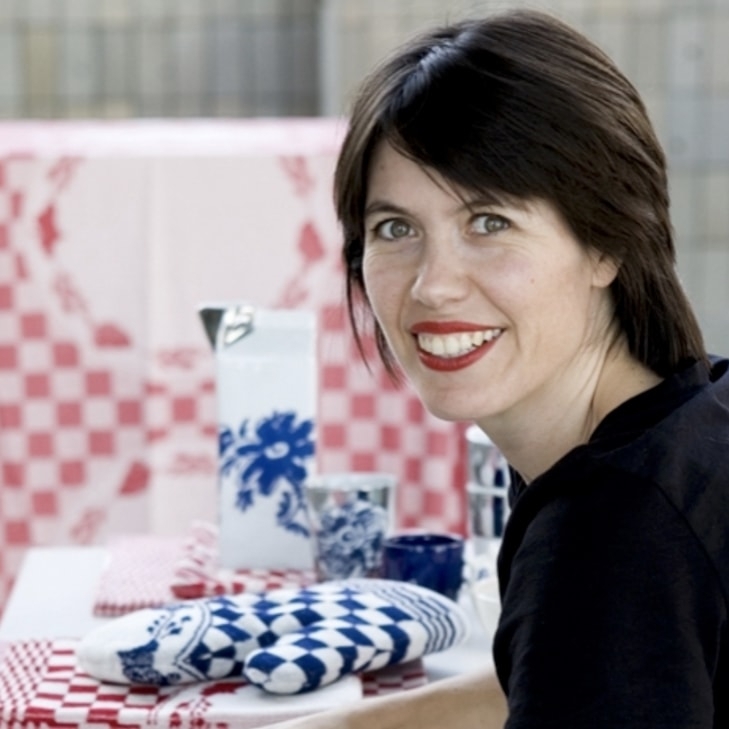 When you buy a CRE8 vase, a quality mark is added to each vase, so you can discover online who is the proud “maker” of your vase.